All prices and bookings are based on a minimum two night hire with standard occupancy of 2 persons. Extra beds and bedding are available at a small additional charge & all prices include delivery (within 50 miles of our base), pitch and take down. 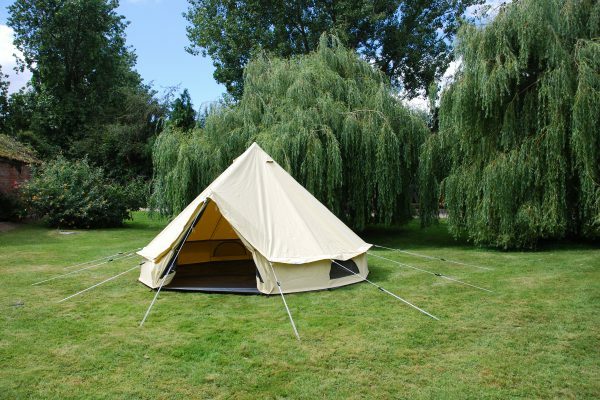 Just a bare bell tent so you can add your own stamp on it. 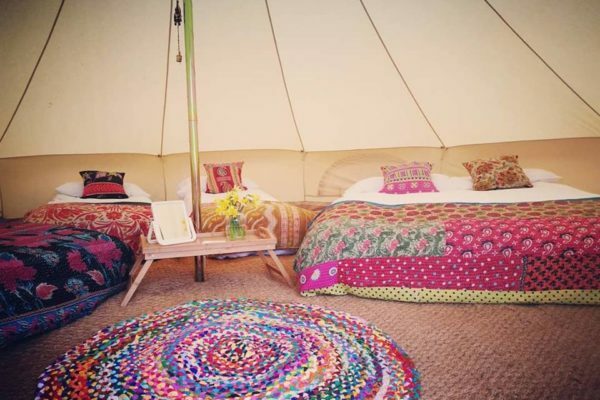 Our glorious bell tents with the addition of little touches of glamour. Perfect for turning into your very own slumber palace; just BYO bedding. Extra bed hire available Double/Single. 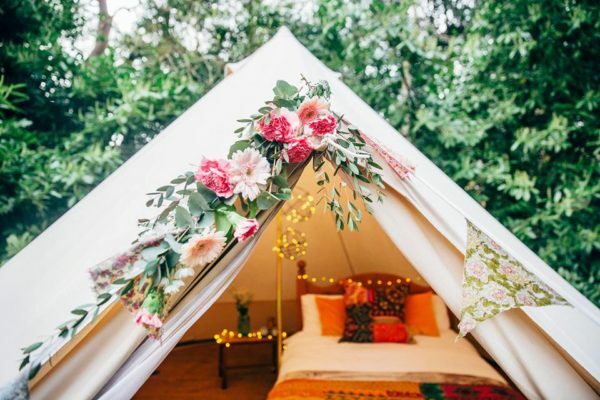 Our glamped package sees our gorgeous bell tents with the addition of Indian inspired touches of glamour. Extra bed & Bedding hire available Double/Single. 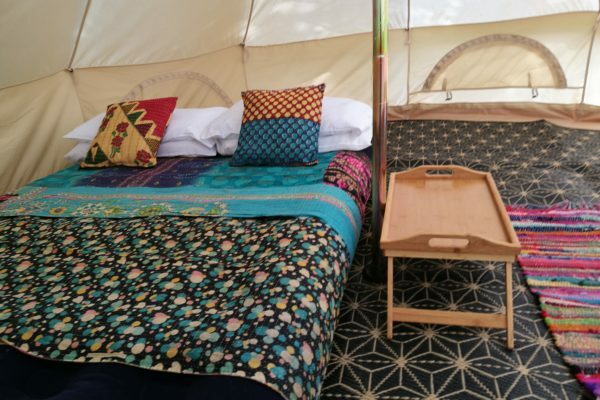 For your special evening we offer a super cozy and special 5m Bell Tent complete with double bed!